Can a glass of lemon water really help with lupus? 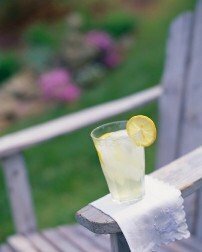 Can the lemon water help autoimmune diseases, such as lupus or vasculitis? I cannot think of any type of autoimmune disease that drinking lemon water would not help for all the reasons listed in my article. As I am sure you know, lupus is an autoimmune disease in which the immune system attacks its tissues, causing inflammation, swelling, pain, and damage. Lupus symptoms vary, and early lupus symptoms include fatigue, joint pain, fever, and a lupus rash, especially after being in the sun. Much of the information I wrote on how lemon water helps endometriosis is relevant to your question, since many experts believe endometriosis is caused by an autoimmune disorder. So you might want to first check out that page and then continue here. I think it is also interesting to note that according to WebMD, 9 out of 10 people who have lupus are women. This tells me that there is a definite connection between the causes of endometriosis and the causes of lupus, especially in regard to the environmental factors that affect women, such as the use of cosmetics and other personal care products. I encourage you to read further down the page on that Lupus site, where you will see an explanation on how lupus might be caused by an immune or "allergic" reaction in the vessel walls. The substances which cause allergic reaction are called antigens. The antigens stimulate the production of antibodies which bind to the allergens to get rid of them. Every autoimmune disease is highly complex and I don’t mean to oversimplify the causes and treatments. However, I believe that the most essential root cause of just about every autoimmune disorder is caused by chronic dehydration. Dehydration is closely linked to the production of antigens and the inflammatory process in the body. In addition, dehydration significantly affects digestion and elimination. Health scientists have revealed that nearly 80 percent of our immune system function originates in our gastrointestinal tract. That says a lot about how important proper digestion and elimination really is. Thus, I encourage you or anyone else who is dealing with autoimmune disorders to read my pages on the health benefits of drinking water and the importance of drinking water and commit to re-hydrating your body, first and foremost. The process of re-hydration can literally take months or even a few years of drinking enough water consistently every day to stop the drought management in the body. The type and quality of water you drink can also make a big difference. Water that is filtered of contaminants but still contains the natural occurring minerals in water is more hydrating than other types of water. High-quality ionized, alkaline water provides a high antioxidant potency (the equivalent of 6 to 8 cups of green tea) in every glass of water, which can significantly reduce excessive inflammatory response in the body. Lemon water significantly aids digestion and elimination, helping to prevent toxic build-up in the gut, leaky gut syndrome, and various other conditions which contribute to the production of allergens in the body, which cause inflammation and disrupt immune system function. After laying the foundation with hydration and lemon water, a comprehensive program of managing stress, proper diet and nutrition supplementation, body cleansing, and regular moderate exercise is usually necessary to help restore balance. The body’s innate intelligence is beyond our comprehension. I know that if we give the body what it needs (specifically water, oxygen, and real food) and reduce the stuff it does not need (tobacco, alcohol, processed food, chemicals and numerous other toxins from air, water, food), it is possible to not only manage the symptoms of autoimmune disorders, but to potentially reverse these conditions.